The Calder Cup Final will have a Game 7 for the first time in 15 seasons. This year’s battle for the cup between the Texas Stars and Toronto Marlies must, unfortunately, end Thursday night. 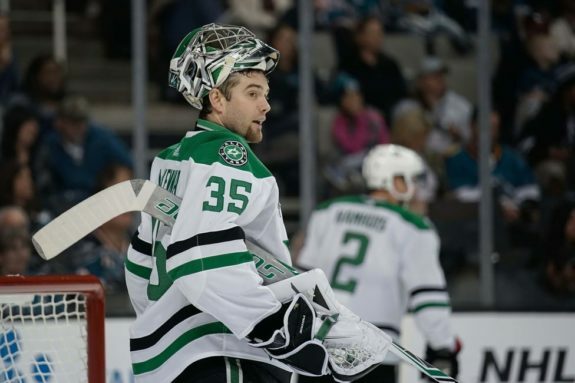 The Stars refuse to go away after a 5-2 Game 6 win while facing elimination. There’s been amazing goaltending, bad goaltending, breakaways, and very physical play. It’s made for one the best Calder Cup finals in recent memory. For the casual fan starved for more hockey, Game 7 will be must-see. A resilient team with a heavy veteran presence in the Stars will look to pull off two straight road wins for the title against a young, talented, and fast Marlies squad that finished with the league’s best record. The Marlies probably feel a bit frustrated but should be optimistic heading into Game 7. While it took some time for the top line of Miro Aaltonen, Andreas Johnsson, and Carl Grundstrom to get going, they have been dangerous in the last two games. Johnsson had a pair of breakaways in Toronto’s Game 5, 6-2 win, finishing on the first chance 1:32 into the game. Grundstrom and Johnsson each finished the game with a goal and two assists. They were unable to match the performance in a possible clinching Game 6, but Stars’ goalie Mike McKenna had a lot to do with the lack of goals. In terms of offensive production, the Marlies have received more secondary scoring than the Stars this series. Former Star Chris Mueller has been haunting his old team all series, with six points in the Final. The speed of the Marlies has been difficult to handle at times for an experienced Stars defensive group. In addition to the forward group, the Maple Leafs organization will like what they’ve seen from defenseman Calle Rosen in this series. Signed as a free-agent from Sweden in the offseason, the 24-year-old has been a one-man breakout at times. Rosen was billed as a player with exceptional skating ability, but his offensive production in this final has been a nice surprise. The Swede has matched his regular season goal total in the final alone, netting four goals in the series. The Marlies should be confident heading into Game 7. Although the series is tied, they have looked like the better team. Toronto has more quality scoring chances, and outshot the Stars in Game 6, 45-24. The Marlies made some costly mistakes in the game and Garret Sparks had his worst game of the series. The Stars were opportunistic and McKenna’s performance in net to keep the season alive can’t be overstated. The Stars have relied heavily on their top line of Travis Morin, Justin Dowling, and Curtis McKenzie. They’re the three remaining pieces from a Calder Cup championship team in 2013-14. McKenzie and Morin took some of the pressure off the Stars in Game 6. After being outplayed badly in the first period of the elimination game, the duo capitalized on Marlies turnovers in the second frame to open a 2-0 lead. If the Stars are going to be the team skating around the Ricoh Coliseum ice with the Cup, their veteran leaders will have to deliver a similar performance. Looking for other possible Game 7 heroes, it wouldn’t be a shock if Sheldon Dries is a factor for the Stars. Dries is an undrafted rookie out of Western Michigan that has given the Marlies fits with his pace and ability to sneak behind the defense. Dries had a decisive short-handed goal in Game 6, spoiling the Marlies’ chance to pull within a goal 3:08 into the third period. Dries has three goals overall in the series and 10 in 21 playoff games. To provide some optimism for the Stars, they may be the best-equipped team to steal a Game 7 on the road. With the exception of Gavin Bayreuther, the rest of the Stars defenseman have all played well over 100 games in the league. Andrew Bodnarchuk and Brent Regner have played over 1,000 combined. The two veterans should see a lot of minutes in Game 7, as they have all series. It’s hard to measure the value of experience, but when the Stars were under fire early in Tuesday’s elimination game, they didn’t panic. They survived the early barrage of shots, 16-4 in the first period, and avoided any costly errors. The most important veteran for the Stars in Game 7 is McKenna. The 35-year-old seeking his first Calder Cup bounced back from his worst performance of the playoffs and stole the show in Toronto. After getting pulled in Game 5, McKenna delivered a 43-save performance in Game 6. He hasn’t been invincible this series as he surrendered six goals in a Game 1 loss, but his playoff performance is a huge reason the Stars are in this position to win the cup. The Stars need the absolute best version of McKenna to show up. The stage is set for the season finale in the AHL. Much like Mckenna in Game 6, the Marlies’ netminder Sparks will look for a bounce-back performance of his own. The AHL’s top regular season goalie was pulled in favor of Calvin Pickard. Sparks himself had a costly turnover that led directly to Morin’s goal in Game 6. His performance this season suggests he will up for the Game 7 challenge. Game 7 should be a physical affair and expect officials to be lenient. Power play chances have been limited since the first two games of the series. In fact, the Marlies had a legitimate complaint on McKenzie’s opening goal. McKenzie appeared to finish a hit on Marlies defenseman Martin Marincin after he had fallen and released the puck. With Marincin down, McKenzie was left open in front of the net. With that said, Toronto had all four of the game’s power-play chances. There shouldn’t be complaints from either side if the players are allowed to decide Game 7. That seems to have been the approach to this point and the series has been highly entertaining. It took 15 years to get another Game 7 in the AHL, so hockey fans should enjoy this one.